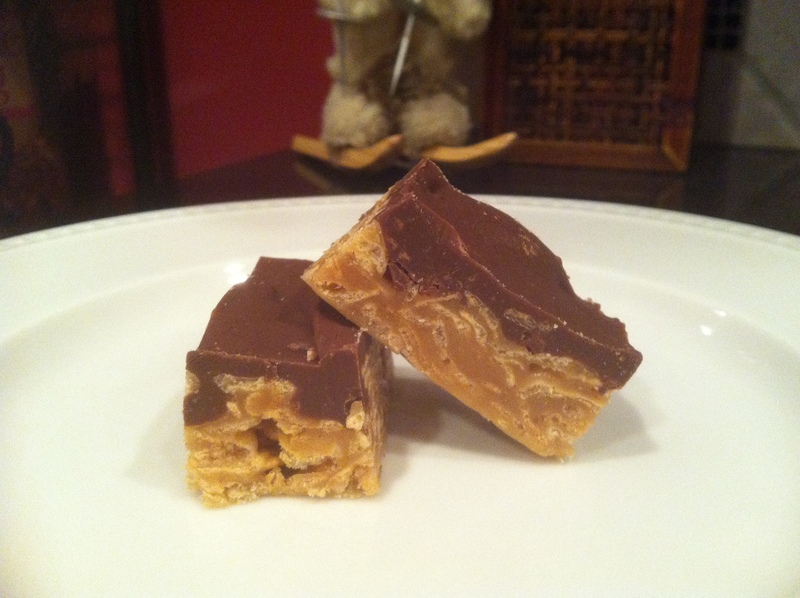 Remember this post about my grandma’s Special K bars? Growing up, these were pretty much a staple on the Christmas cookie tray. This year, I’ve morphed them from their traditional form into a pudding cookie…not that there’s anything wrong with the original bars. You know me. Pudding cookies are my “thing” and I love the challenge of fitting a beloved treat or dessert into a little cookie. And so, here we are. If it’s possible for a cookie to explode with peanut butter, than this is it. It is my pleasure to introduce to you (drum roll, please)….the peanut butter bomb! What is a peanut butter bomb you ask? 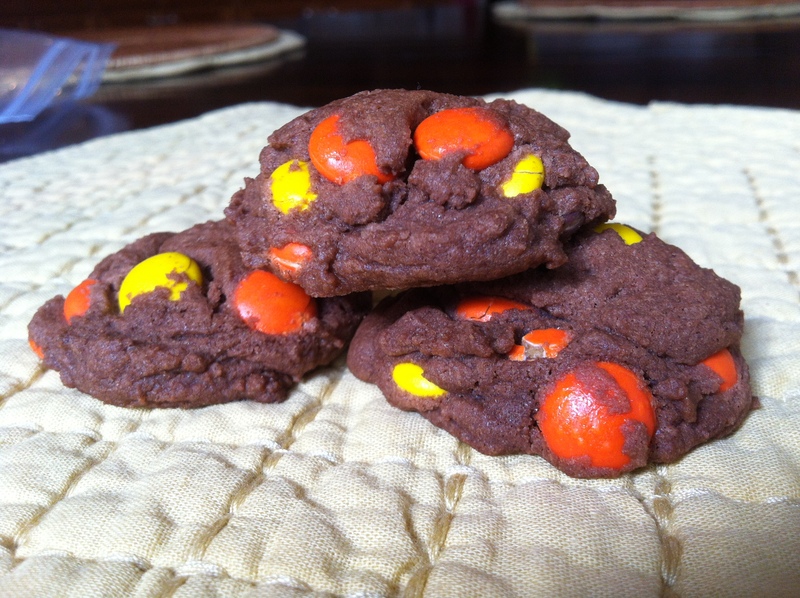 It’s a peanut butter pudding cookie chock full of peanut butter M&Ms and chopped Reese’s peanut butter cups. Whoop Whoop! I know, I know. It’s been a ridiculously long time since my last post. Life has been a bit crazy…but chock full of great stuff like a vacation in Mexico and completing my first half-marathon with Team in Training (TNT)! Can’t complain. As part of my half-marathon training with TNT, I pledged to raise a minimum of $1,000 for the Leukemia and Lymphoma Society. I raised just over $1,300 thanks to my fabulous family, friends and co-workers. One of my fundraising tactics was to supply one dozen homemade cookies to each donor that gave a $10 minimum. Needless to say, I’ve been a baking machine. 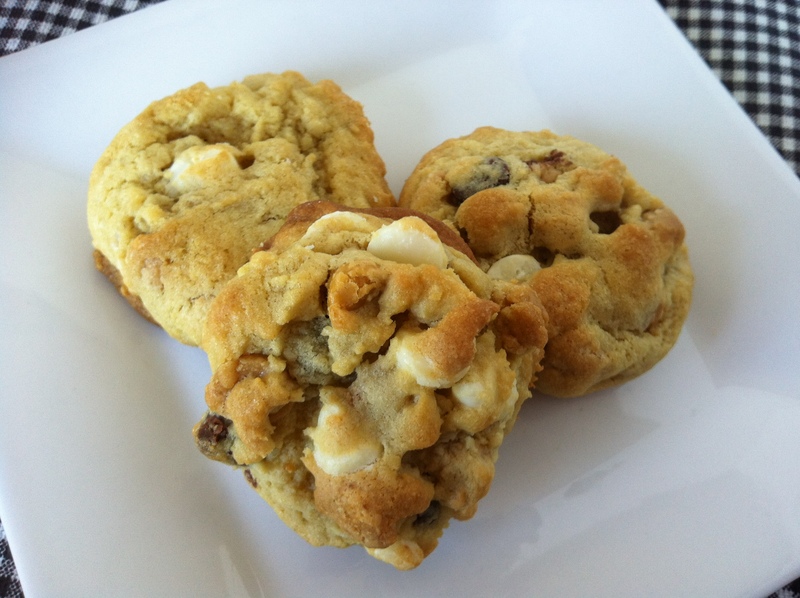 This recipe, my final post before the holiday, is an oldie but goodie. My grandma made these chewy treats when I was growing up. Any time we had the good fortune to spend Christmas with my grandma, I remember a tin of Special K bars. What do you do with all that leftover Halloween candy? Better yet, what do you do with all that candy the kids brought home? 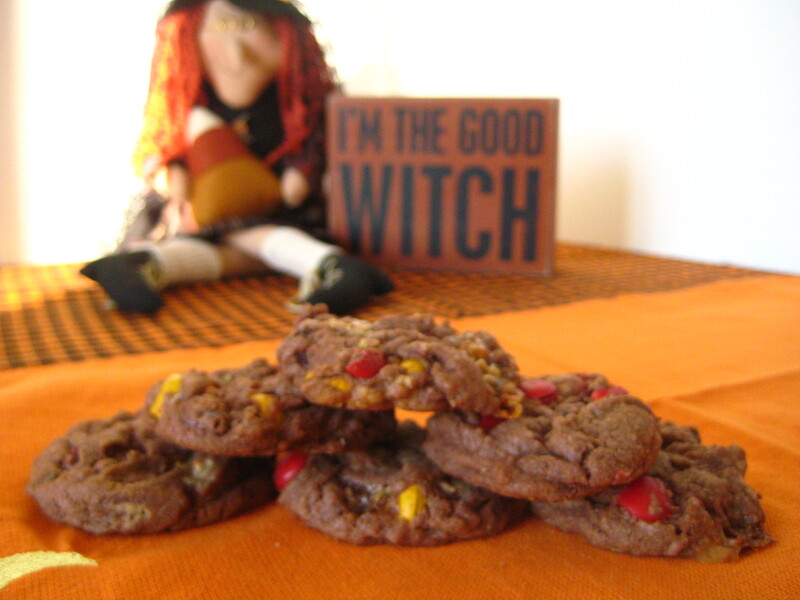 Rather than be the person who contributes the obvious Halloween candy leftovers (not that there’s anything wrong with that) to the next party, soccer game or troop gathering, bake up these quick and yummy cookies…no one will be any wiser and you will look like a sweet genius. Muwahahahahahaa!